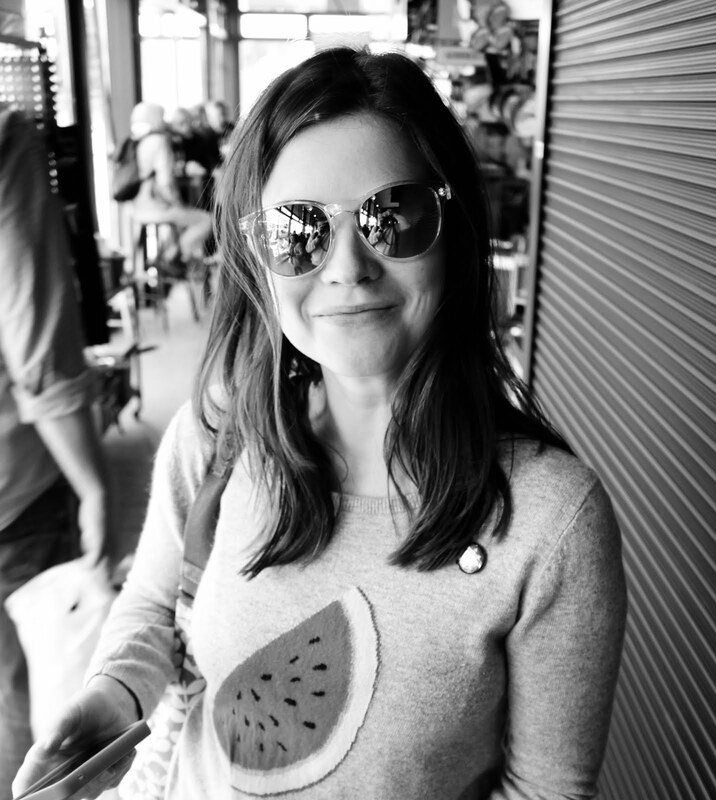 Kitting out the nursery was one of my favourite things to do while pregnant. Suddenly a whole new world of shopping opportunities had opened up! Although there was one teeny tiny pitfall. 'Why is everything pink, blue or white and lacy?' I'd shout in the middle of a baby shop before brushing my outburst aside as pregnancy hormones and waddling sauntering off. Probably to find more cake. Not that pink, blue or lacy white are bad things. We just didn't know whether we were having boy twins, girl twins or one-of-each-twins at the time, and we weren't keen on those stereotypical colour schemes anyway. I'm a girl and I don't love pink, unless it's in Muji pen form. So what to buy? Well, HELLO timely advertising from moKee on my Instagram feed. I clicked onto their website and was thrilled to find oodles of nursery options in fun, neutral colour schemes. Just look at these! Adorable wool nests (aka moses baskets). 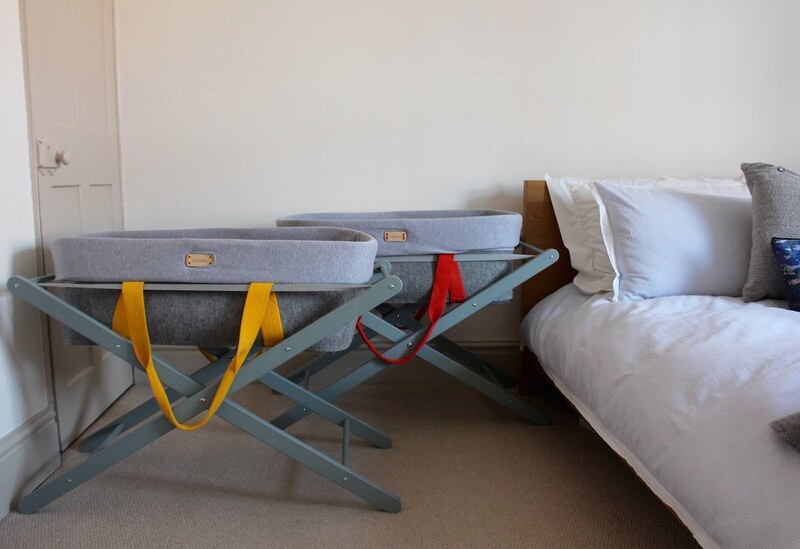 I ordered two for our little bundles and we set them up in our bedroom. The nests come with a pop of colour thanks to the handles - we went for pumpkin and yellow but there are others to chose from. 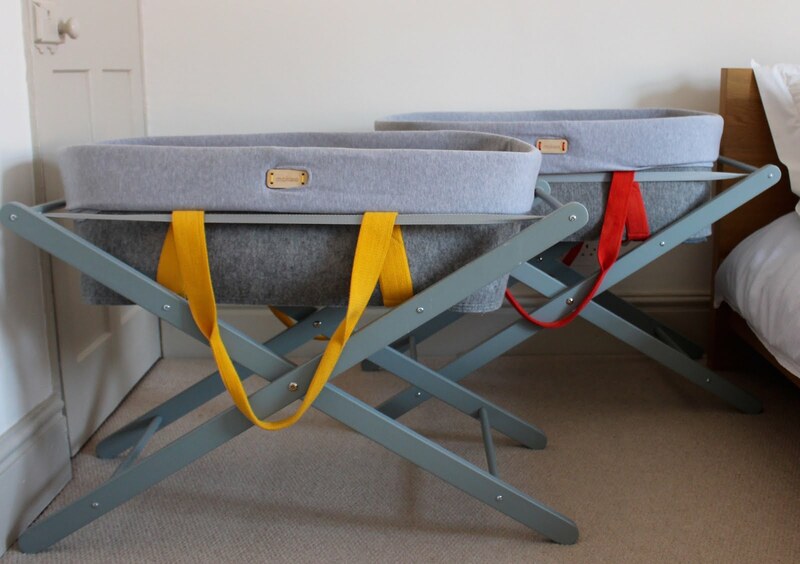 Add in a snazzy mattress cover (chevron design in my case) and you have super cosy moses baskets which don't scrimp on style and some happily slumbering bubbas to boot! We also bought a couple of cots, as moKee's sizing turned out to be perfect for the small room formerly known as my office / nursery. Throw in sleeping bags, vibrant bedsheets and a competitive price point and I am a certified moKee convert. Their website is well worth a look if you're in the midst of your own nursery style dilemma.